This hairstyle has plenty plenty of width thanks to the medium to long layers cut around the sides and back to encourage the bounce. 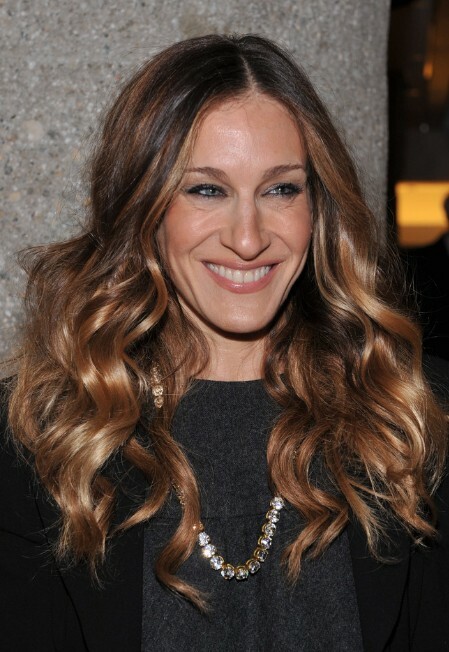 Sarah Jessica Parker wore her hair in long shiny curls. This is great for those looking for a hairstyle with flair and grace, a great long wavy curly hair style for women over 40s and 50s.